As many of you now, I try hard to keep everything as natural as possible in our home. While I have moved to steaming some things, there are just some cleaners and household products I have had a hard time ditching. While I was on my search for the perfect cleaners, I was approached to review a new book that really caught my interest – Homemade Cleaners: Quick & Easy Toxic Free Recipes. Once my book arrived, I couldn’t wait to start trying these all natural cleaning recipes! Want to make your own homemade cleaners? If so, we think you will love Homemade Cleaners: Quick & Easy Toxic Free Recipes. This book focuses on offering families a better solution for keeping your home clean by giving you homemade recipes using simple and affordable items that you will likely find in your own home. Once you have tried many of these recipes you will see why many families are moving to all natural, homemade cleaners! Personally, I thought this book was a wealth of information. It has recipes for just about everything, from cleaning floors to making your own wool dryer balls. There really isn’t much I haven’t found a recipe for and with the books layout, you can easily find cleaners for just about any area in the home. Not only all the recipes eco-friendly, but designed to save you money without introducing toxic chemicals into your home. Based on my own experience with this book, I am happy to give Homemade Cleaners: Quick & Easy Toxic Free Recipes an A+ rating! Want to purchase this book for making your own cleaners? You can purchase Homemade Cleaners: Quick & Easy Toxic Free Recipes on Amazon.com for $12.30 or buy the Kindle edition for $9.99! I want to win this because I am presently attempting to remove all toxins from my house and need to learn to make more natural, green alternatives for both my health, and for that of my family & friends. Thanks for hosting this giveaway. I want to own this book because I can’t stand using chemicals around my home. Ants, Stinkbugs, really any bugs freak me out a bit. Not when I’m outside so much but THEY are not allowed inside 🙂 Plus I love to learn more natural ways of doing all the things I do anyway. We are expecting our first little one in 5 weeks or so and have been gearing up to do a major cleaning of the house before she arrives. I love the idea of using more natural but still effective cleaners everywhere in the house instead of the stuff we usually use! I will not use unsage chemicals to clean, which so far has meant pricey cleaners that break my budget. I could really use this book! I would like to have this book because I’m very sensitive to chemicals. To the point that I have trouble breathing if I use too many different cleansers at once. I would love to know what are in the products I’m using around my family, I would love to have this book. I have been wanting to make my own cleaners. This would be great motivation. I would like to own Homemade Cleaners: Quick & Easy Toxic Free Recipes because I have started to remove the chemicals in my home and I want to replace them with homemade products that are made from quality ingredients that do not include chemicals that can make my family sick. I want to win this because the less chemicals around the house the better! I want to win because I hAve always been interested in making my own cleaning products to enhance safety in my house but also save money. This looks just like a book a would buy for myself! I would like nontoxic and chemical free cleaners for my home! Just about all commercial nongreen cleaners on the market bother my repsiratory system and my daughter’s sinuses. I’d like the most toxic free environment for my family I can get. I also like the quick and easy part and if it’s also less expensive all the better! I want to own this book because I have really been getting interested in frugal DIYs, saving money on cleaning, etc. I have the mentality that I want to make do with what I have as much as possible, and this sounds like it would help me in my quest. Even if I don’t win, I will probably be saving up for this book (seems silly when it’s so inexpensive, but I really have to budget for everything) because it seems like just the thing I have been looking for. Thanks for getting me excited and helping me find what sounds like a very helpful book! We are on a very small budget. Plus I hate paying for something when I can not only make it a whole lot cheaper but it is much healthier for my family. My husband is a laryngectomee and cannot be around a lot of chemicals because if he breathes them they go straight to his lungs. I’d love to own this book because I have a five month old and I’m trying to make my house kid friendly before she starts crawling around! Also saving money on household cleaners would be great for a growing family! I’m slowly making the transition to natural products, including face/body products. I’d love to have this book to help with replacing chemical laden cleaning products. Thank you! I have a special needs child and try to keep everything as natural as I can due to how different cleaners can affect those with mental disorders. I also don’t like to have the harmful chemicals on my hands or surfaces. I am trying to have a chemical free home. I never realized how dependant I was on chemicals for cleaning until I tried to get rid of them. This book would help me accomplish my goal. I would love to own this book. I will save me some money. I am chemically-sensitive and must use all-natural, non-toxic household cleaners. This book would be a great help for me! 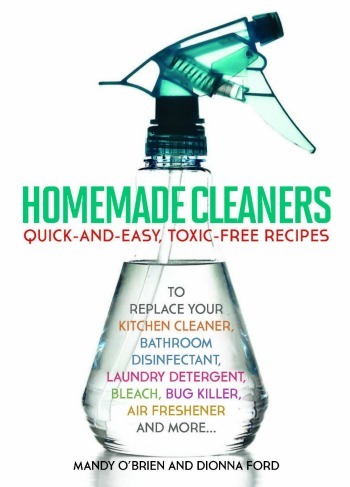 I would like to win this book because I would like to save money by making our own cleaners, I want to know exactly what ingredients are in the clear I’m using and I want a more ‘natural’ cleaner, not potentially poisonous chemicals. While I am on a mission for “clean eating”, I want to continue moving into “cleaner cleaners”! I would love to own this book cause I’m on a mission to clean up my act and start using homemade cleaners and eat cleaner. I would like to have this book on hand so the formulas or recipes would be available as needed. It would help me to not reach for the convenient harsh cleaners. I want the book because I have been moving toward a more green lifestyle since my baby was born 7 months ago. No more toxic chemicals for us! I am trying to go green and would love to have a handy guide on how to make envirnmentally responsible cleaners for my home! I want to win because I already make several of my own cleaners, but I would love to have more recipes and ideas. 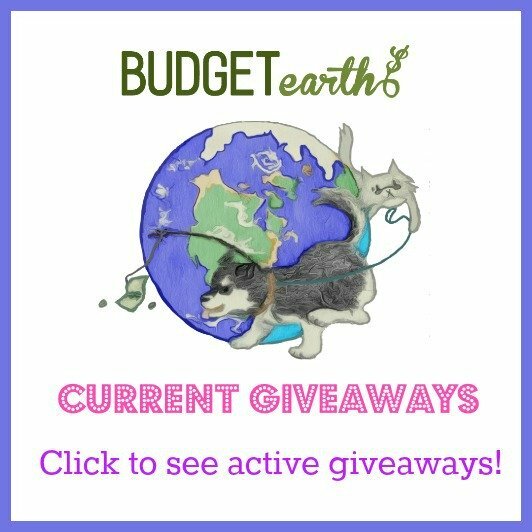 I want to learn everything I can about having a more natural environment, and save money. I would love to own this book. I am always searching for more simple cleaners that have known ingredients in them, not a bunch of harmful chemicals. I want to clean my house with things that are safe for my family and pets. I have been trying to phase out all toxic cleaners in my house because it effects my asthma and would love to have a guide. I like the idea of making homemade cleaners without any toxins to clean my home. I would like to own this book because I would like to live more naturally and don’t know where to start. I would like to get the toxins out of my home. I am making major changes in the lives of me and my family. It just clicked one day what the food we are eating and the chemicals we are using is doing to our health and well being. I would like to win this book as it would be so much easier to have a reference saving me lots of time doing research. I would love to win this because not only do you save money by using more natural and organic cleaning elements , but the elements that they use are fairly in expensive ! I want to clean with less harsh and damaging . I’d like to have this fora clean and healthy home. My girls have a lot of allergies – this would be a lot more helpful. My allergies prevent me from being able to use a lot of the traditional cleaning products. Thankfully, there are cleaning companies out there that offer natural and eco-friendly cleaning options. Thanks for sharing!